I’ve done a lot of cute things to our porchy area to make it more inviting… after all, it is the only door that gets used. 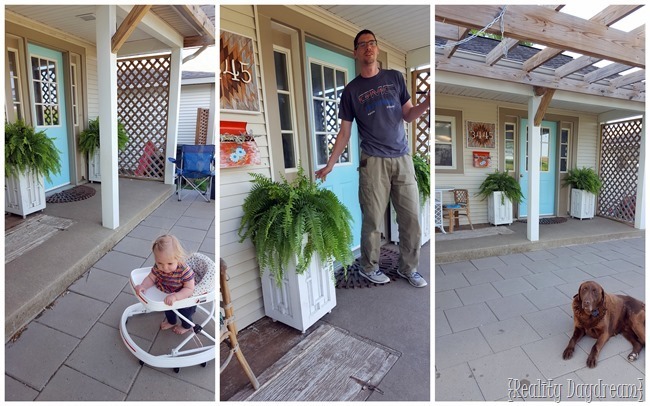 We built the planter boxes, affixed that vintage mailbox as a little planter, crafted the Kilim house number art, the… and painted the door orange. This post contains affiliate links. See our Disclosure for all the deets! 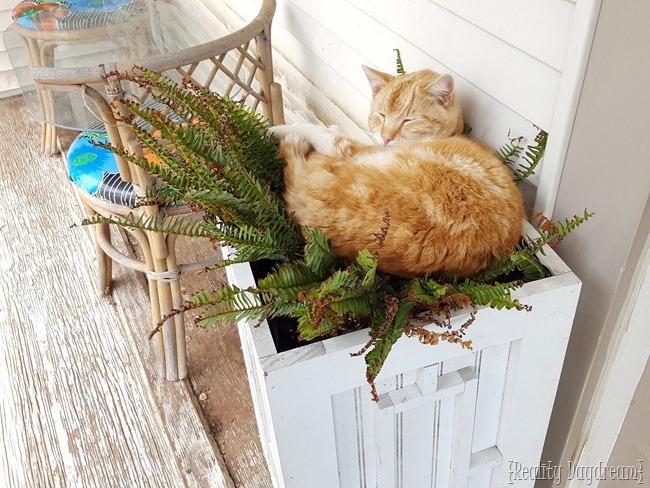 With all the color that’s going on, I like to slap some ferns in those planter boxes rather than colorful flowers. It just helps keep the area grounded and lush. But we’re not the only ones that find this space inviting. 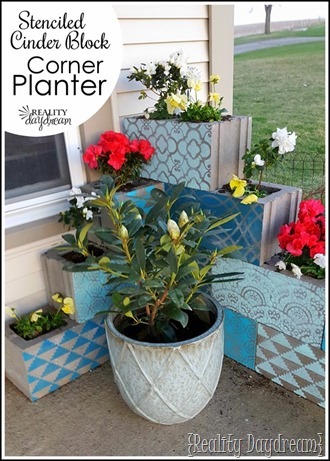 So one day, while the twins were at school, Cypress and I ventured out to find some new plants for the planter boxes. 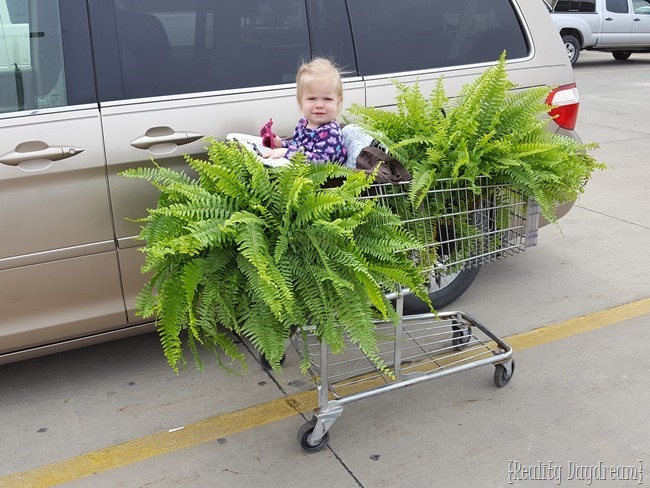 I found these GIANT Boston Ferns at Menards and just had to have them. I’m happy to report that I’ve been successful in keeping the cats off by sticking in wooden skewers… pointy side up. They’re not fans of being impaled by a giant splinter. But that’s not really what I’m hear to talk about today. 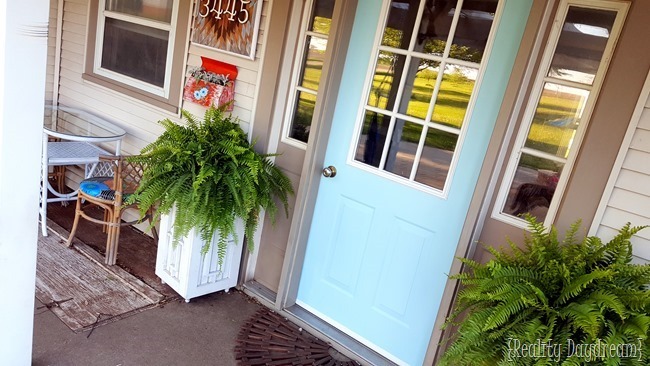 I’ve been itching to repaint my front door another color for a change. And I didn’t realize just how faded and gross our door had gotten until we took it off the hinges and prepped it for painting. Isn’t it INSANE how much that door had faded over the years? Gross! 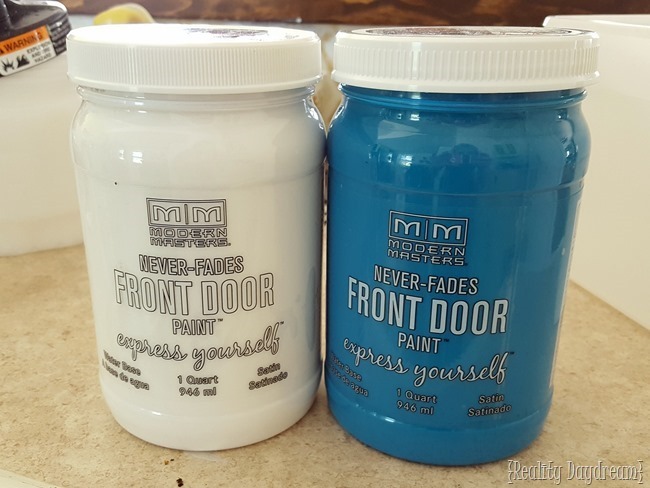 After doing lots of research, I found a front door paint that reportedly doesn’t fade. And I was soooo glad Modern Masters makes it, because I just love their products anyways! They make a front door paint that’s formulated to not fade over time. 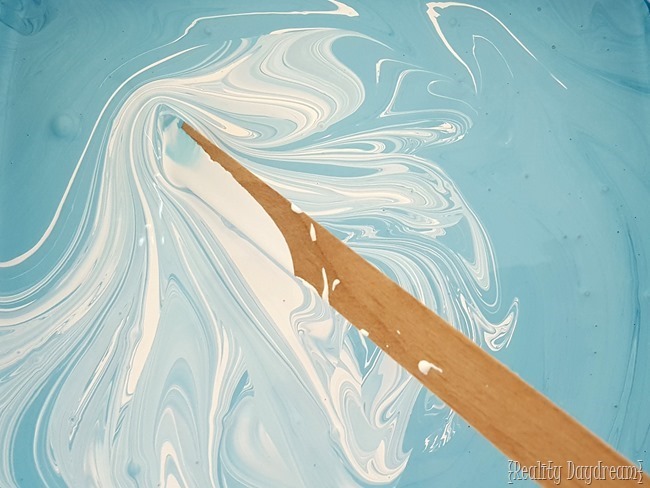 And they call it… wait for it… Front Door Paint. 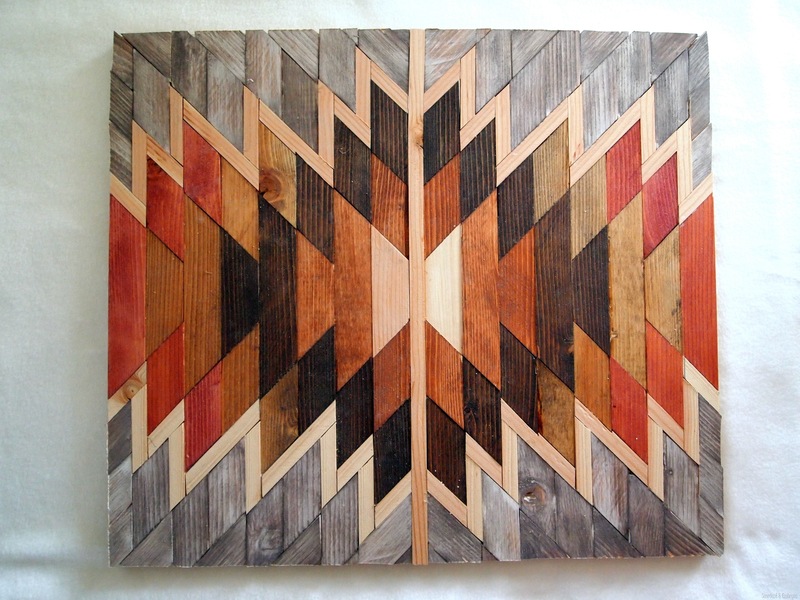 (can be purchased on Amazon, Home Depot, and of course Modern Masters website. 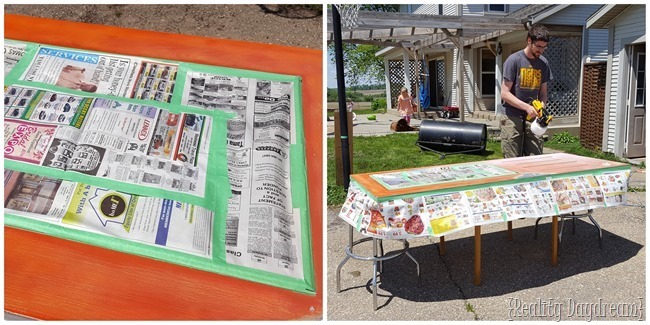 I love that it dries quickly so you don’t have to have your door wide open all day long letting in all sorts of critters (or in our case farm cats). Modern Masters has a ton of pretty colors to choose from… but I reeeeally wanted a light aqua color. So I decided to play chemist and do some mixing of their bright turquoise (Tranquil) and their white (Hopeful) to get the perfect aqua shade I was wanting. I ended up using 1 part turquoise and 8 parts white. Our door was not only faded but DIRTY, so it got a good scrub-down. We also hit it with the orbital sander to cut down the sheen so it would really grab onto the paint. Then taped /newspapered off the window area and all around the sides. We thought this would be the perfect opportunity to try out a new paint gun we had been given from Wagner. It was nice not having to rely on our giant and inconvenient air compressor. And it was so easy to run too. We primed with Zinsser Bulls Eye 123 first. 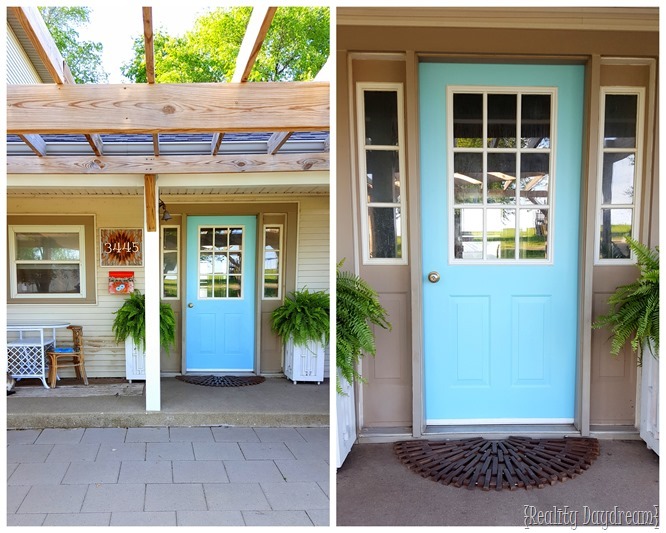 Then hit it with my newly-mixed shade of aqua front door paint. 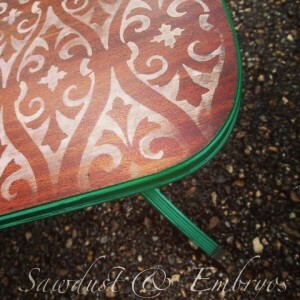 Such a gorgeous smooth finish… and it was dry and ready to put back in place so fast! I love the cheerful burst of color and how welcoming it feels. And now in the spirit of ‘real life’ …this is the struggle of me trying to photograph pretty much anything. We’ve got some pro-photobombers around here. 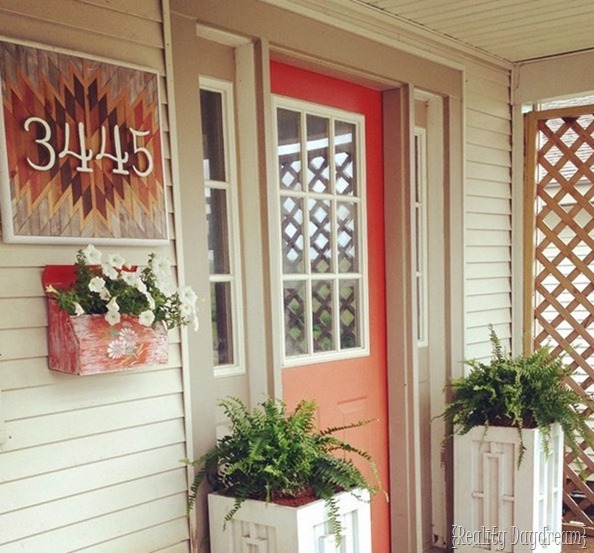 Do you have a fun color on your front door? Or have you been considering it? You should! You should! 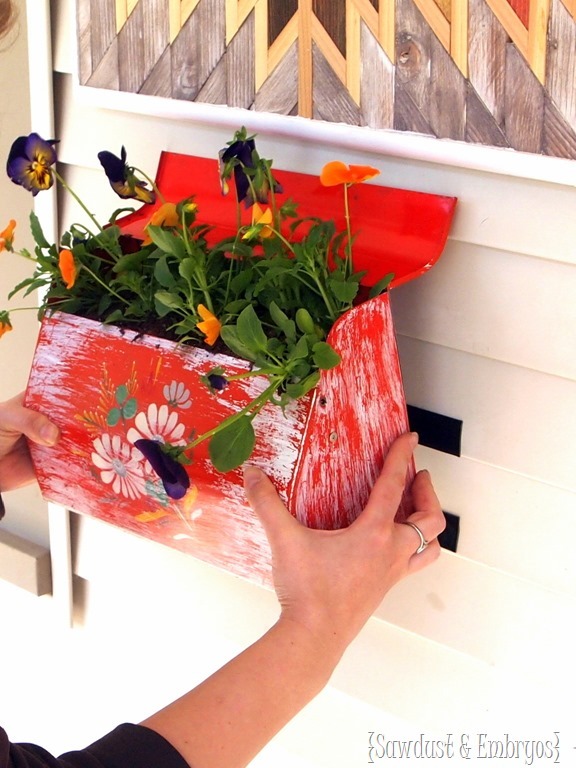 It’s such a simple change that makes a big impact on your curb appeal and general ‘welcome factor’, not to mention a little infusion of personality to your home! 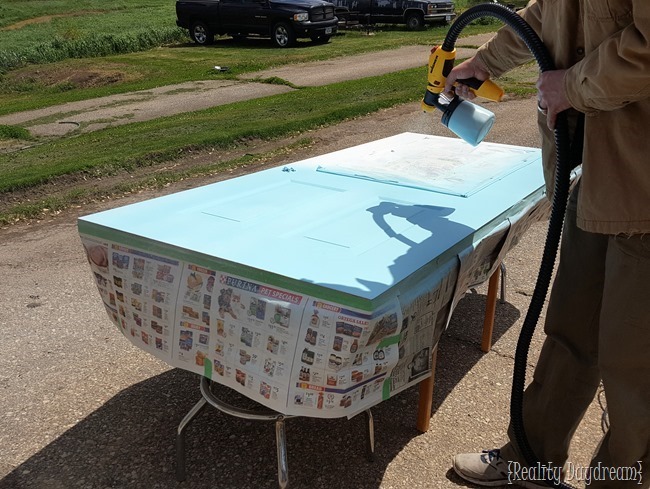 Big fat THANK YOU to Modern Masters for sponsoring this post and providing me with their non-fade Front Door Paint to mix and apply! 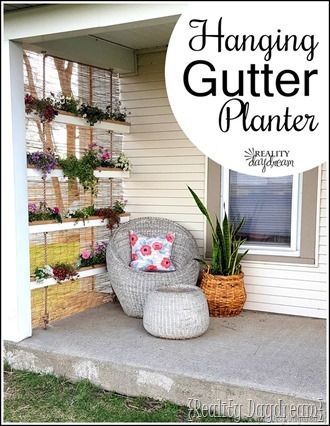 I love their paints and am always happy to spread the word about amazing products to my readers! 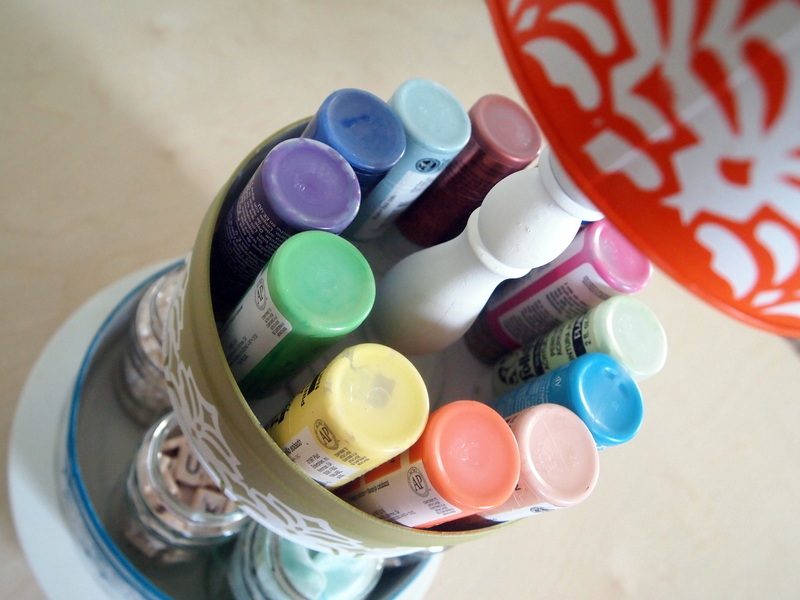 « Trinket Box Challenge WINNER! Your door looks beautiful, I just love the colour. Mine is boring white and a certain person doesn’t want it painted a colour. Please come and do mine! I love that blue, it looks very nice. 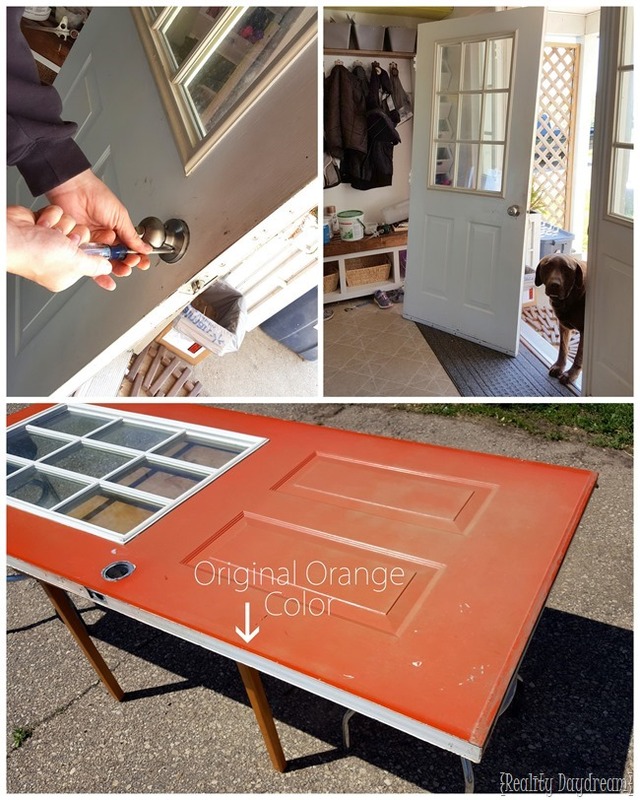 This is freaking me out because last time I painted my front door, I was torn between Bahama Blue (pretty much what you mixed) and Pumpkin. I went with the Pumpkin. 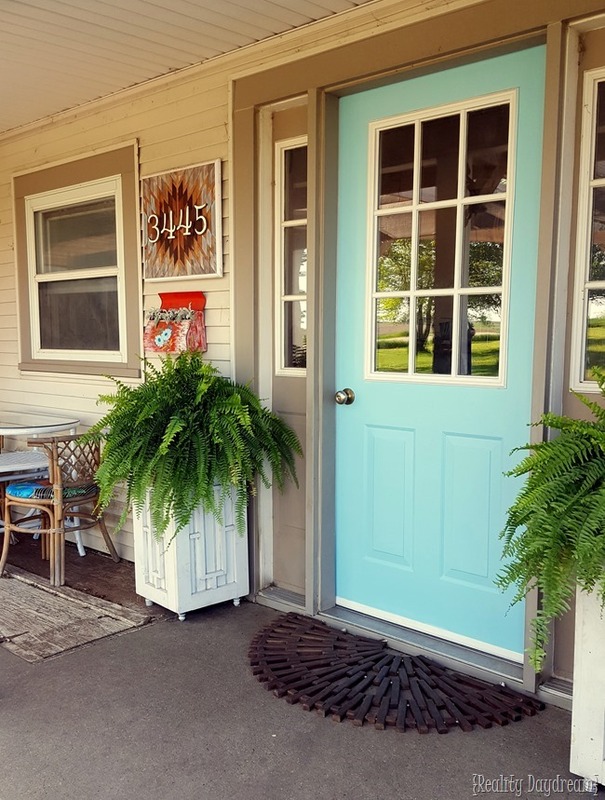 Last week I was telling my son’s I still wanted the Bahama Blue and my door needs a re-paint because contractors did some damage. WE VIBE ACROSS THE BORDER!